Chief Minister Sarbananda Sonowal on Thursday said a better road connectivity with other states leads to building robust business relations between Assam with its neighbouring states. “It would also strengthen the friendly relations of Assam with Nagaland, Arunachal Pradesh, Meghalaya and others,” Sonowal said. 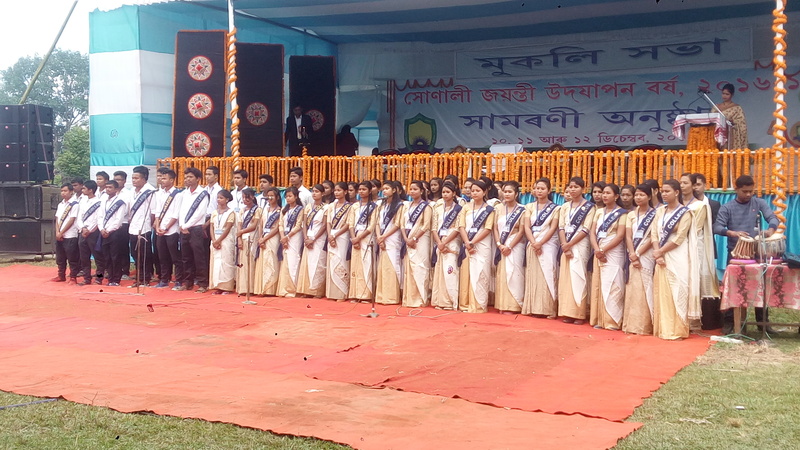 Speaking at the golden jubilee celebrations of Amguri College at Amguri in Sivasagar district, Chief Minister Sonowal said for sustaining friendly relations, State Government has been working for the development inter-state border areas. 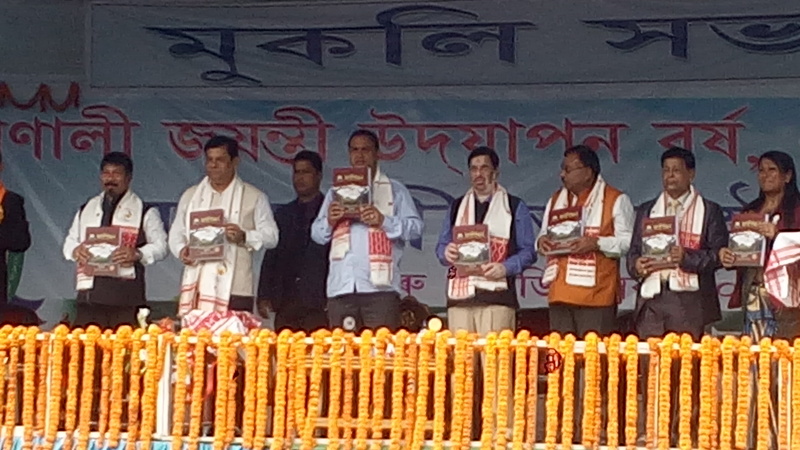 Hailing the role of Amguri College in spreading the lights of knowledge for the last 50 years, Chief Minister Sonowal said that to wipe out superstitions from the society the educational institutions have to take a pro-active role. He said to bring about qualitative changes in education, reform has to be brought right from the primary school level. He further said education can wipe out ignorance and can bring about paradigm shift in all spheres of the society. Stating that since Assam is bestowed with enormous potentialities, Sonowal said efforts have to be taken to discover the state. He further said for rediscovering the state a lot of new thinking has to be put in to system and education is the only tool which can stimulate new thought processing and can catalyst progress of the state. Referring to Prime Minister Narendra Modi’s reiteration of terming Northeast as ‘Astalaxmi’ and the new growth engine, the Chief Minister Sonowal said, “We need to work hard to make full use of our resources in the areas of water, mineral, wild-life, human resources etc”. He however, said that with the judicious use of science and technology the resources have to be utilised for the betterment of humanity. He also stressed on the importance of value based education which has the potential of churning and utilising human resources in the State. He also advocated for a synergistic approach between the teachers and guardians to help the students to tread the path of success.